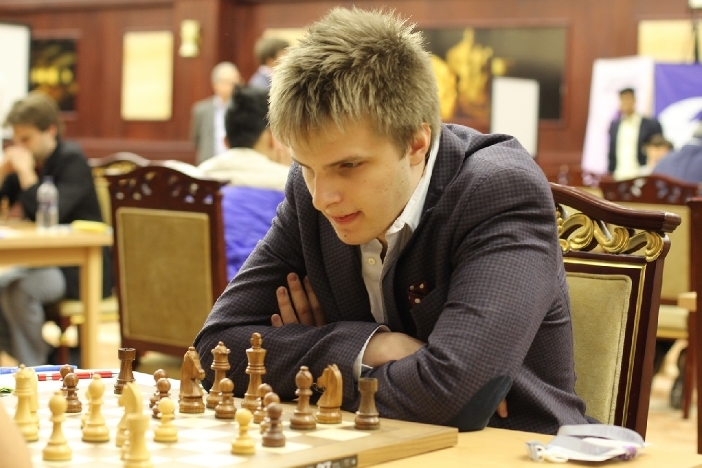 In stark contrast to the Olympiad, the World Team Championships that started almost simultaneously yesterday in China and Armenia offer no easy pairings in the first few rounds. 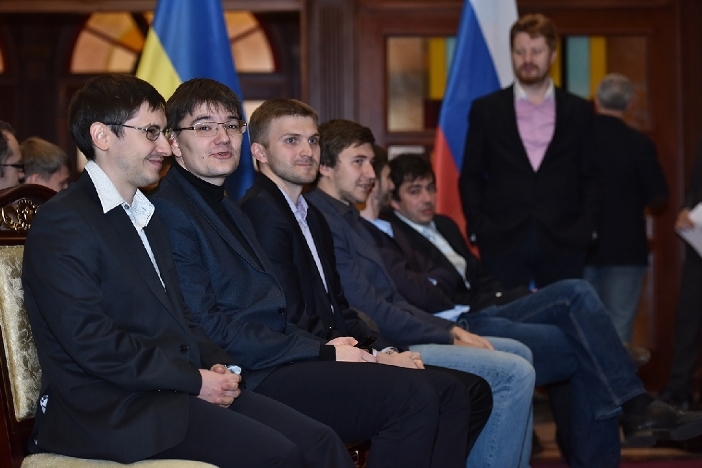 Reigning open champions Russia faced their strongest rivals Ukraine and lost after Eljanov won the only decisive game against Tomashevsky. 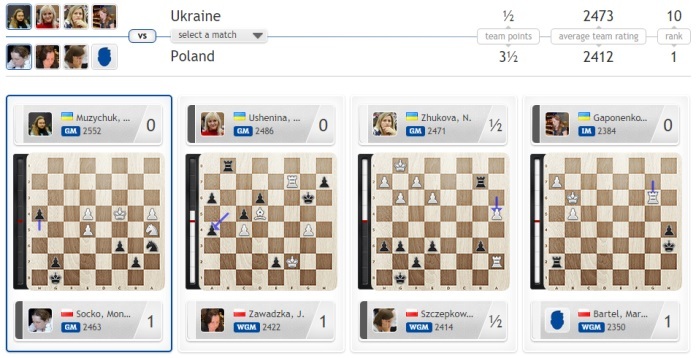 In the women’s event holders Ukraine rested Women's World Champion Mariya Muzychuk against Poland, though it's unlikely even she could have staved off a 3.5:0.5 defeat. In terms of prestige the World Team Championships are second only to the Olympiad, but you could argue they’re tougher to win and more representative of the strength of the teams. Instead of a big open with a significant element of luck involved in the draw, the World Team events are organised as 9-round all-play-all tournaments involving 10 qualifying teams. In the past the open and women’s events have been held in separate venues and at different times, but this year we have the curious logistical challenge of events held simultaneously over 5000 km apart! Let’s start with the men’s event held in the mountain resort of Tsaghkadzor in Armenia, a mere 110 km from Shamkir. Even then, the Chinese team could only beat the U.S. – who are without their top three of Nakamura, So and Kamsky – after Ding Liren managed to beat Sam Shankland in a drawish queen and pawn ending. 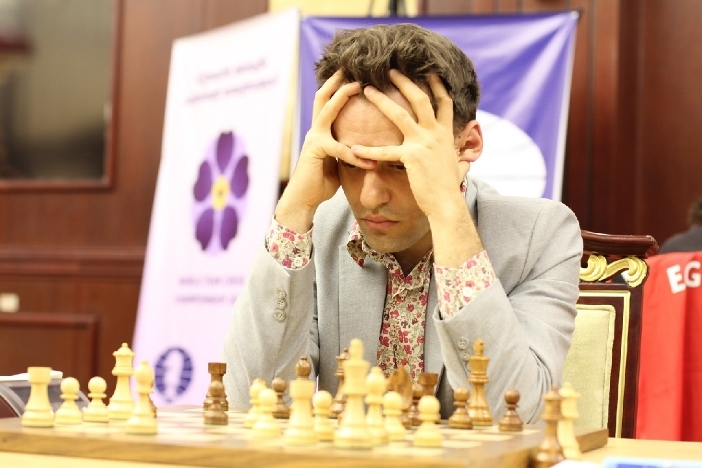 The hosts and 2011 World Team Champions will have been disappointed to start with a defeat, after Maxim Rodshtein won the only decisive game against Vladimir Akopian. Israel are only taking part since Azerbaijan refused to take up their qualification spot as 2013 European Champions. Russia may be without the likes of Vladimir Kramnik and Peter Svidler, but they’re still the only team in the event with only 2700 players. Again this was a tight match, with three draws and only Pavel Eljanov managing to score a crucial win against Evgeny Tomashevsky. 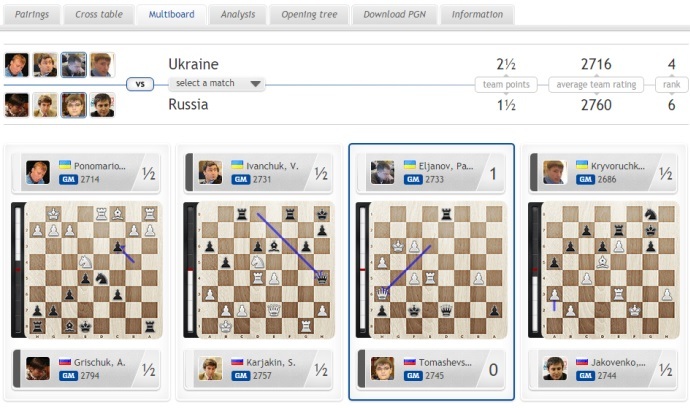 The multiboard tab under our broadcast is the most attractive way to watch a match at a time! Anna Muzychuk lost a critical game to Monika Socko after she misjudged the pawn break 27.e4? What could be more natural? But after 27…Nc7 28.a4 e5! 29.dxe5 Rf4! the white pawns were dropping like flies. Anna’s sister and World Champion Mariya sat out the encounter, and the Ukrainian misery was compounded when Anna Ushenina lost on time after apparently failing to press the clock correctly. Her position against Polish Champion Jolanta Zawadzka had been difficult, but was by no means lost. 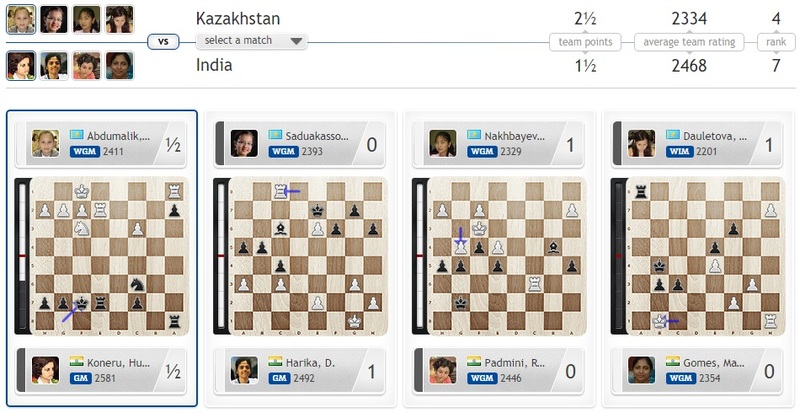 The return of Humpy Koneru wasn’t enough to prevent the strong Indian side losing to Kazakhstan, although it’s no longer a big surprise to see the young and hungry Kazakh team punching above their nominal weight. So the World Teams started with dramatic upsets, but there's a long way to go - with 8 rounds until next Tuesday and a single rest day on Friday.